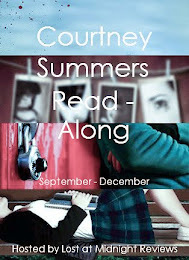 Today, Lost at Midnight Reviews is one of the stops on the Canadian The Art of Lainey blog tour! 5) It's a summer contemporary. - Seriously, contemps set in the summer about budding romance and warm sunny weather make me happy like nothing else. So far, The Art of Lainey has had that in spades. (Especially the budding romance part!) There's something special about summer contemps. They always have this hopeful tinge to them, and I can't wait to see if The Art of Lainey does too. - Guys, do you know how often I get to read about female soccer players? Oh, yeah, never. It's one of those sports I rarely see in YA and it happens to be my favourite one! I played soccer for the majority of my childhood and still absolutely adore the sport. So, all of Lainey's soccer talk is delightful to me. Makes me want to get outside and play. 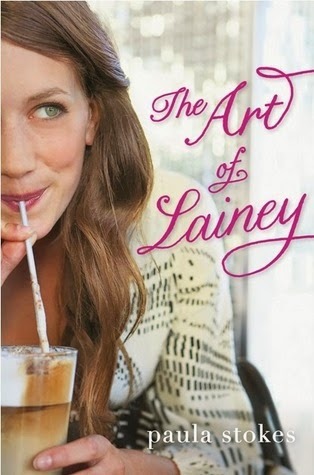 - I'll admit, The Art of Lainey took me a good chunk to get into because I was decidedly Not A Fan of Lainey herself. She is pretty materialistic, a quality I simply can't handle. But, I could tell right from the start that she wasn't going to stay that way. There's so much potential for such a fascinating character progression. And, in my opinion, watching a character change and evolve throughout the narrative is one of the best storylines there is. I can see it happening already in The Art of Lainey and I've been enjoying every bit of it. - I had heard about him before I started reading, but he pretty much flew off the page when he first appeared. How could he not, considering the mohawk and piercings! But, what has struck me most about Micah so far is his heart. He may joke around and throw out barbs, but there's caring behind his words. He is genuinely a good person, with a nice and attractive bad boy exterior. - Despite having my reservations at the start, The Art of Lainey has seriously picked up and has me completely intrigued. It also has me feeling the swoony feels, which are obviously the best kind. I absolutely cannot wait to see how the relationship between Lainey and Micah progresses and causes me to melt in a pile of swoons. I'm also looking forward to that happy, hopeful feeling you get when things work out like they're supposed to. And, although Lainey can't see it just yet, I have a feeling they're going to work out just fine. The Art of Lainey has so many things going for it, and I'm so excited to continue reading. What about you guys? Why do YOU want to read The Art of Lainey? Tell me in the comments and be sure to check out the other stops on the tour! Paula Stokes is half writers, half RN, and totally thrilled to be part of the word of YA literature. 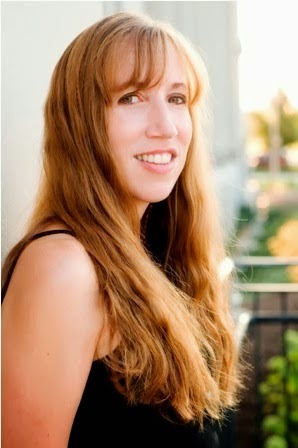 She grew up in St. Louis, Missouri where she graduated from Washington University and the Goldfarb School of Nursing. When she's not writing, she's kayaking, hiking, reading, or seeking out new adventures in faraway lands. Paula loves interacting with readers! 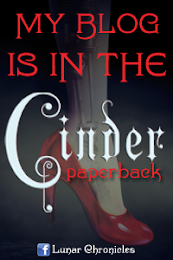 Find her online at www.authorpaulastokes.com or on twitter as @pstokesbooks. I want to say a giant thank you to Jessica and Kathy for hosting the tour (and for being so understanding)! Another thank you to Paula Stokes for writing The Art of Lainey and, of course, a huge thank you to HarperCollins Canada for the review copy! My review for The Art of Lainey will be up (hopefully) by the end of the week, and I'll be updating this post with the link! Happy Victoria Day, fellow Canadians! And happy Monday everyone else!